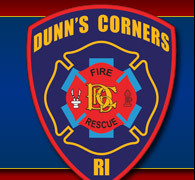 The Dunn's Corners Fire Department is always seeking new members to help serve the community. No previous experience is required and all training will be provided by the department at no cost. Individuals interested in applying for DCFD membership must reside in Westerly or Charlestown, RI. DCFD offers four types of membership: Junior, Probationary, Senior, and Associate. If interested in joining the DCFD Junior program, please contact the department at (401) 322-0577, e-mail us (Chief@dunnscornersfire.com), or fill out the Application and Seat Belt Pledge below. Submit Nighttime Calls Permission Slip if desired. The purpose of the Probationary membership is to allow new members of eighteen (18) years of age and older to serve their community in a limited capacity, while learning to become firefighters through appropriated levels of participation and training. This serves as an introductory period to determine if new members wish to continue on with membership, as well as time for them to exhibit their commitment to the DCFD. For Junior members, a minimum of one (1) year of membership is required prior to being voted on for Senior membership. If the Junior member will reach the age of eighteen (18) with less than one (1) year of membership accrued, he/she shall serve out the balance of the one (1) year minimum as a Probationary member before being eligible to be voted on. For Probationary members, one (1) year of Probationary membership is required prior to being voted on for Senior membership. This type of membership is for people who would like to serve in the DCFD without fighting fires. We have many non-firefighting types of activities that we'd love to have help with, such as computer data entry, equipment maintenance, station maintenance, public relations, fire prevention activities, department photographer, etc. Please contact us if you believe that you might have the abilities and desire to help in any of these areas. If interested in joining DCFD, please contact the department at (401) 322-0577, e-mail us (Chief@dunnscornersfire.com), or fill out the Application, Criminal Background Check release, and Seat Belt Pledge below. If you're in the neighborhood, stop by Station 1 on almost any Wednesday night. There is bound to be some members around who would be more than willing to answer your questions and give you a tour of the station. Saturdays are also a good time to find members at the station engaged in various projects and activities.